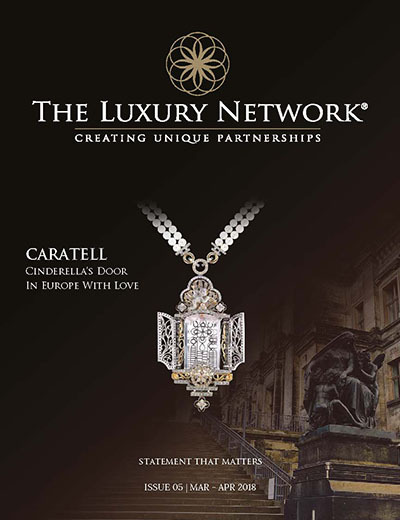 Your gateway to the world of luxury. 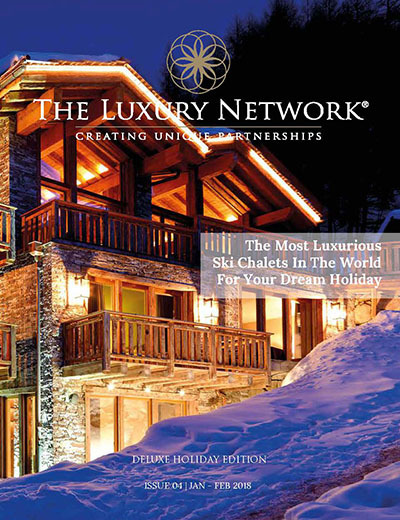 The Luxury Network Magazine is a print and digital publication containing the latest luxury products, services, and trends globally. 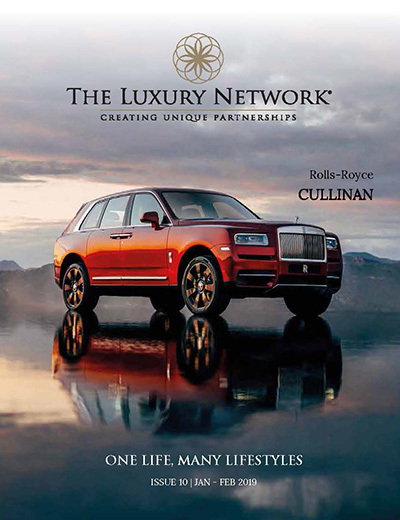 Featuring Luxury Escapes with Heletranz, the new Rolls-Royce Cullinan and The Luxury Network’s Exclusive VIP Champagne Trip. 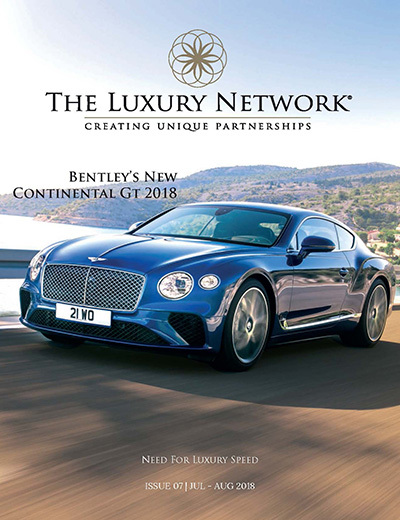 Featuring Bentley’s new Continental GT 2018 and highlights of The Luxury Network International Awards 2018. 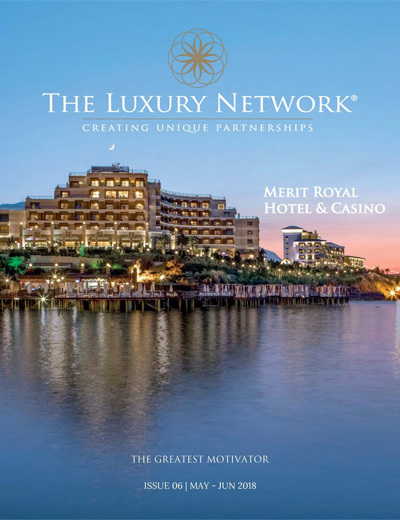 Featuring the new Aston Martin DB11, Amici Di Moda and The Luxury Network Lebanon launch event. 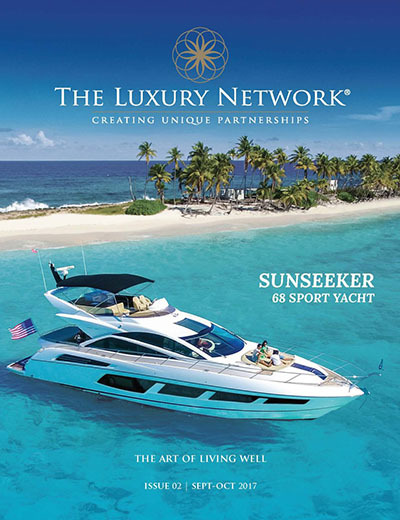 Featuring TLN Achievements for 2017, Swiss international, Romer Gallery and Yachtshare. 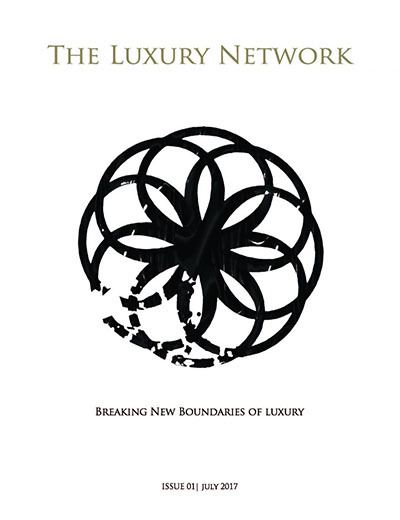 Featuring Singapore Polo Club, Proshade Kenya & FG Realty Qatar. 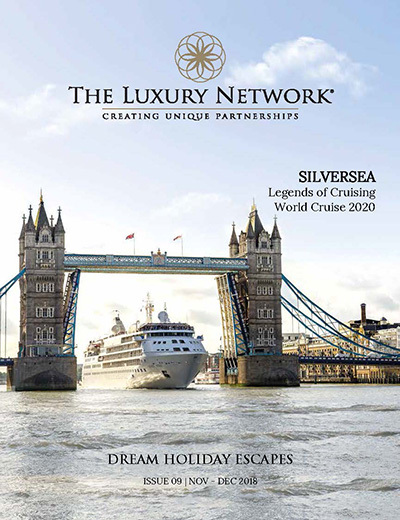 Featuring The New Mercedes Benz GLE, Rolls-Royce Dawn Uncompromised Drophead Luxury and The World’s Top Christmas Destinations. 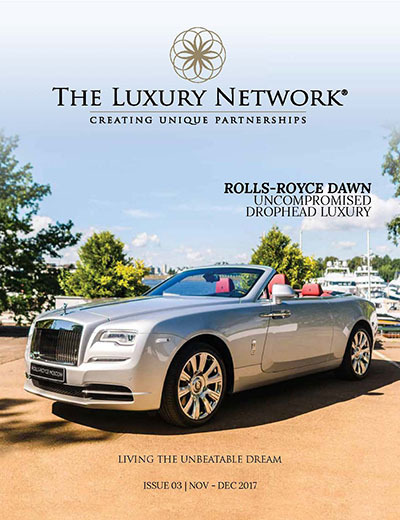 Featuring DAVIANI Beauty & SPA, The McLaren 570S Spider and Champagne Pommery. 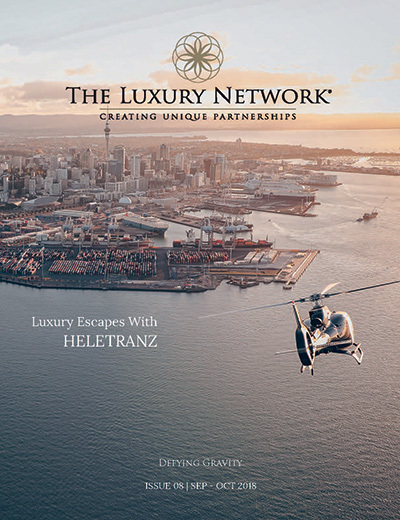 Featuring Heletranz: Extraordinary Experiences Everyday, An Interview with Jon Goss of Quintessentially and Kameha Suites: Life is Suite.